We hope you are excited for a new experience in the United States. We want to make sure it is a great one, so here are some things to keep in mind. We provide your bed linens, pillows, and towels. They will be ready when you arrive. Women: You may only wear one-piece bathing suits while on camp. Please be sure to buy a few if you don’t have any. We have a safe place on site to keep your cash, passport and other important paperwork in. We encourage you to bring something special from home, like your country flag or a native recipe to cook for a staff get together. Your placement agency will help you with this process. Depending on where you are traveling from, you will most likely fly into New York or Los Angeles. From there, make arrangements to either fly or take a bus or train to the Philadelphia airport or the Wilmington Bus or Train Stations. If you ask, your placement agency will help organize your travel. Please try to arrive during reasonable hours (8:00am- 8:00pm Eastern Standard Time). Please verify arrival dates with the Camp Director before booking your flights. Once you have made your travel arrangements, email the information to the Camp Director so we can make sure someone is there to pick you up. When you arrive at the airport or station we will be waiting in the baggage claim area with a Camp Tockwogh sign and a smile. When you arrive we may not immediately be there due to traffic, so grab a seat and we will be there shortly. If for some reason there is trouble with your flight, or you can’t find us, please call camp at 1-800-331-CAMP from any phone and our staff will find help for you. 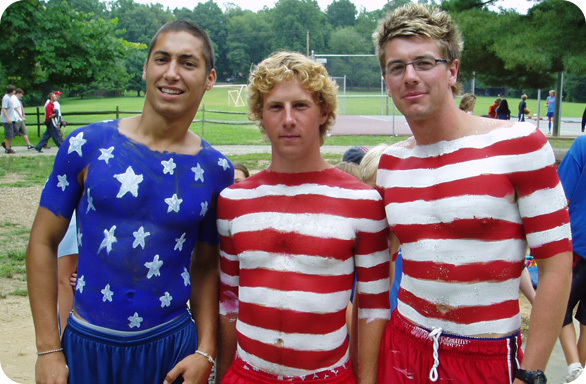 -Application from your international camp counselor program. -Travel plans and exact flight, bus or train information.